Will pickup honey bee swarms in and around Findlay, Ohio. Please call me at 419 four two zero 9570. I am not able to do cutouts from buildings or other structures. Please make sure what you have are honey bees. This service is offered for free. 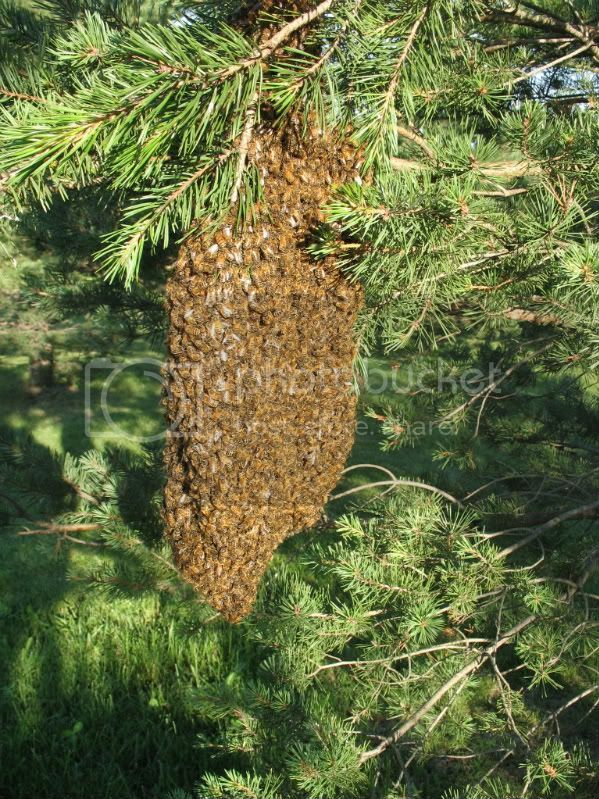 Swarm of Honey Bees in Pine Tree. 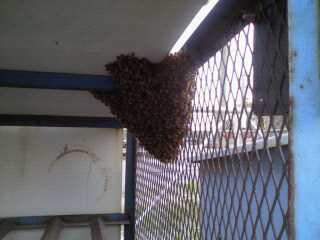 Swarm in propane storage shed.